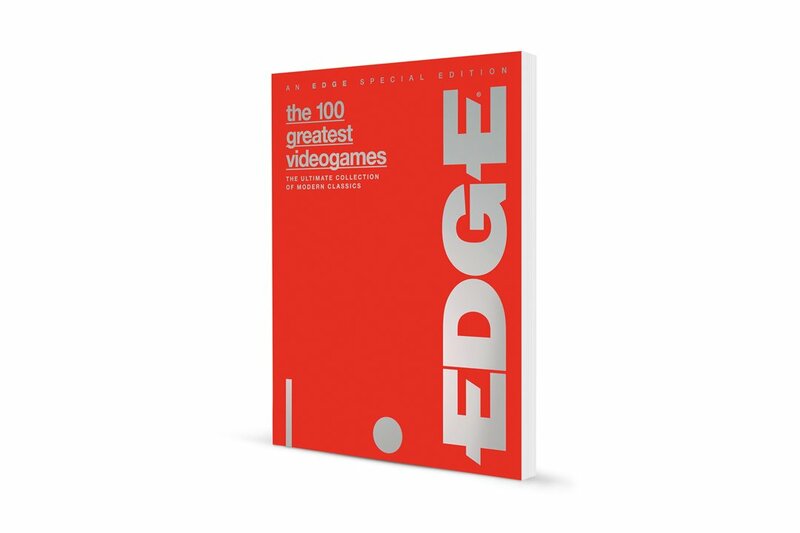 Recently, Edge Magazine did another one of its “Top 100 Video Games of All Time” lists. I believe it was the fourth such list the magazine has done in its twenty-two year history…and also their most disappointing. I understand that this list was favoring the “most fun games to play today” over historical significance, but even still, the top 100 seems to be more of a “best games from the last couple of years” list – with a handful of classics thrown in to look more knowledgeable – than one that showcases the “modern classics” that it claims itself to be. One need not look further than the top 10 alone to get an idea of the overall list. All ten would admittedly be considered solid entries to most people, and while I may not quite hold Dark Souls as the greatest video game ever made, I don’t have a particular gripe with it claiming the top spot. But seeing as the only game in the top five that was released before 2011 is Half-Life 2, and that Tetris is the only 2D title in the top 10, it makes it a little difficult to appreciate this list from an “all time” perspective. I know, people would use the whole “it’s all just opinions” argument, but considering that my opinion of their opinion is also an opinion, that’s not much of an argument. If this list represented the opinion of a sole individual, there wouldn’t be much, if anything, I could say about it. But when you have a group of professionals making any kind of “definitive” list of a best of anything, there should be some sense of timelessness about it, otherwise it just feels like a spur of the moment thing. This list got me to thinking of many of the others I’ve seen over the years, and which ones I think hold up over which ones don’t. So I decided to create something of a self-referential top 10 list of the best top 10 best video games ever…lists. The criteria for this list involves four rules. 1: The overall consensus of quality or historical importance (depending on what the list was aiming for) of the games listed. So lists that may have favored games that were hot when the list was made, but have fallen out of favor since, aren’t here. 2: The lists involved have to show a sense of variety, but not at the expense of quality titles. So any lists that follow a “one game per franchise” rule aren’t here, since they basically state that no matter how good certain sequels might be, they are left out in favor of a different title that might not be as good for the sake of variety. But that method, by nature, negates the “best of all time” aspect, and is more of a list of games acknowledged as great, as opposed to best. 3: These are all lists compiled by professional magazines, websites, and other such gaming media, created by their editors and staff, as opposed to fan-voted lists or individual people’s personal lists of favorites (which, once again, you can’t really argue with). 4: These top 10s are taken from lists of top 100, 200, and other such numbered lists. But to avoid needlessly driving myself mad, I’m only ranking them based on their top 10. That’s what most people care about, anyway. Also, keep in mind that I am a sole individual creating this list in question, but I tried my best to not simply pick lists that cater to my personal tastes (though some represented games certainly do). Perhaps some personal bias did sneak in here and there, but I actively tried to avoid making this simply a list of lists that agree with me. This list doesn’t reflect my personal favorites, but I do plan on making my own such list somewhere in the not-too-distant future. So without further rambling, here are the Top 10 Best Top 10 Best Video Games of All Time Lists of All Time! That was an awesome journey through Top 10 lists. I am sort of shocked to see Nintendo Power’s 2012 list does not feature Super Mario Galaxy 2. Believe it or not, Nintendo Power had Galaxy 2 listed at number 15! Pretty shameful, but the top 10 is still solid. Number 15 is just way too low for Galaxy 2. Thanks, I really enjoyed that post! I was looking at similar lists recently actually for fun, and was surprised to find Crystal Chronicles ranked higher than Four Swords Adventures on various lists (all of them top 100 lists though, neither of these games can be found anywhere near the top 10). Anyway these lists are fun to parse, and personally I’m very much drawn to a top 3 consisting of Resident Evil 4 (the definitive Wii version, natch), Ocarina of Time and Majora’s Mask, in any order. And maybe some Mario 64 somewhere in the mix too. That works for me. As someone who grew up in the 3D era of games it’s a bit harder for me to assess the historical impact of 2D games from earlier generations, so it’s difficult to place stuff like Megaman 2 as much as I love playing it. The big mystery for me is why Half-Life 2 appears on these lists. I thought it was a decent game when it came out, and I’m currently replaying it and I still think it’s decent. But I don’t think it’s a patch on the original HL, and I also don’t see the sequel as nearly as influential or groundbreaking in the FPS genre. Perhaps that’s just me. And I see you (kind of/maybe/somewhat) named you top four favorite games. I myself plan on doing a list of my favorite games down the road, and thought it’d be a fun idea if I could get some of the bloggers I follow to do the same (around the same time) to turn it into one big, umm, “event” (for lack of a better word). Interested? As for Half-Life 2, I really enjoyed it, but I can’t say I’d put it in my top 20-ish. I think one reason it gets a lot of love is how it streamlined narrative into gameplay, instead of taking breaks from the gameplay to tell the story (though the first Half-Life may have done that as well, I sadly never played the original). It also emphasized physics in ways no other game did at that point in time, so there’s that too, I guess. Personally, I prefer Portal to Half-Life, and I would even refer to Portal 2 as being “Mario World Perfect” (I should coin that phrase). Team Fortress 2 is another Valve game I greatly enjoy, even if the memes it’s spawned utterly baffle me. I would definitely be up for doing a list, either on my own blog (as some sort of joint effort where we post lists around the same time) or as a guest post on yours. My personal picks for a top 5 or 10 games might be slightly different – I don’t see “my favourite” as equivalent to “the best” – so you never know! With the games I suggested, they’re iconic and beloved by gamers as well as resonating with me personally, so it makes sense to me to see them at the top of an all-time list. I completely understand preferring Portal and the sequel over Half-Life 2, I feel the same way. Half-Life 2 expands on the features that made the original HL stand out – no cutscenes, playable story sequences, a (somewhat) realistic scenario, big setpieces etc – but some of those expansions paradoxically end up hurting the game. The original game has a silent protagonist, but you never have long conversations with anyone. You’re a scientist showing up for work, your experiment goes wrong and then it’s all about survival and escape. In HL2 they were trying to create these complex relationships between the various characters, and so everyone is chatting to Gordon in this personable, human way and it ends up feeling forced because of Gordon’s silence. It’s similar to Zelda: Twilight Princess, where Link’s silence holds back the effectiveness of the narrative. You can probably tell it’s a pet peeve of mine when games overburden silent protagonists! Awesome! Hopefully I can round up some more of our fellow bloggers and we can get this thing going. Doing a guest post on my blog would be fun, but seeing as a “favorite/best games” post seems like a pretty big thing for any gaming blog, I wouldn’t want to rob you of the attention your blog might receive from it. We could always just link to each others blogs within the posts themselves. I guess I’ll leave it up to everyone who joins in. I also had the idea, on top of everyone’s favorites lists, to do one collective list between blogs. But that might be a bit more difficult, considering we don’t have a proper format to communicate in order to set it up, and we’d have to decide where to place it. Perhaps I’m over thinking this? I get what you’re saying. I appreciate that Half-Life 2 tried to make us know who Gordon is as a character despite his silence, but the sheer amount of interaction with other characters can feel strange.Totally agree on Twilight Princess. It tried so hard to be “dark” and “serious,” so they tried to make Link seem like a deep character (despite not only his silence, but also his loss of the facial expressions that he boasted in Wind Waker). It just came off as kind of silly. I feel Wind Waker and Skyward Sword were wise to place the emphasis in personality on characters like Zelda and Ganon (though it’s a shame Skyward Sword never even attempted to make Fi even the slightest bit interesting). Previous Previous post: Five Annoying Mario Maker Trends That Need to Stop!